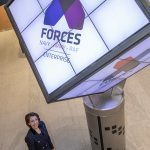 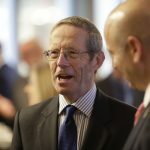 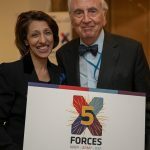 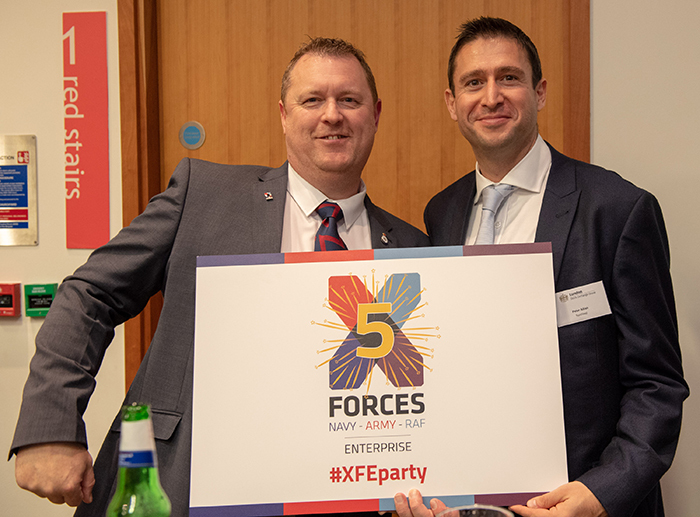 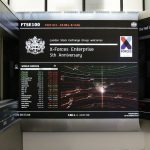 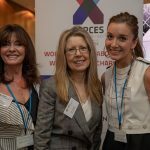 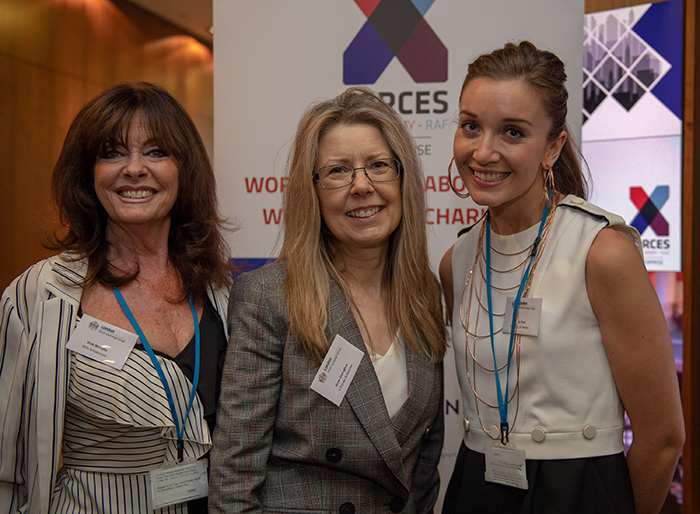 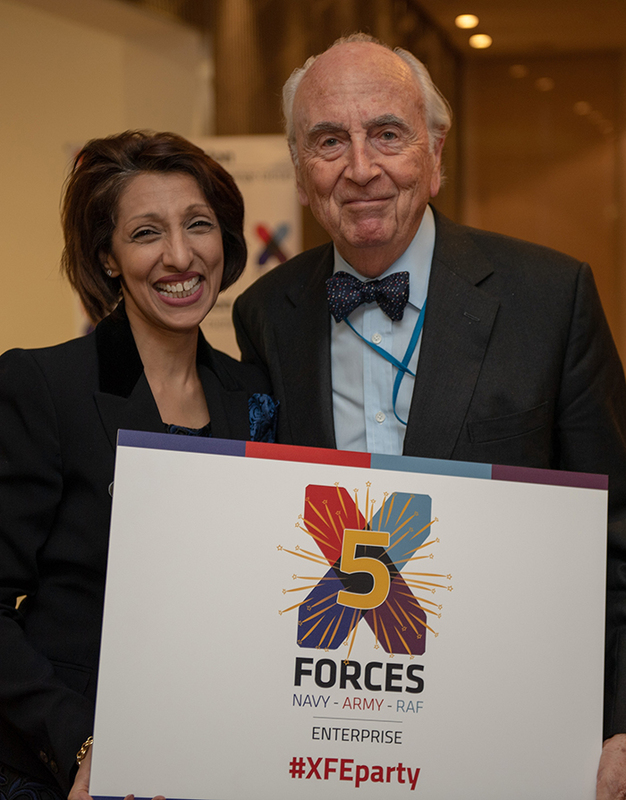 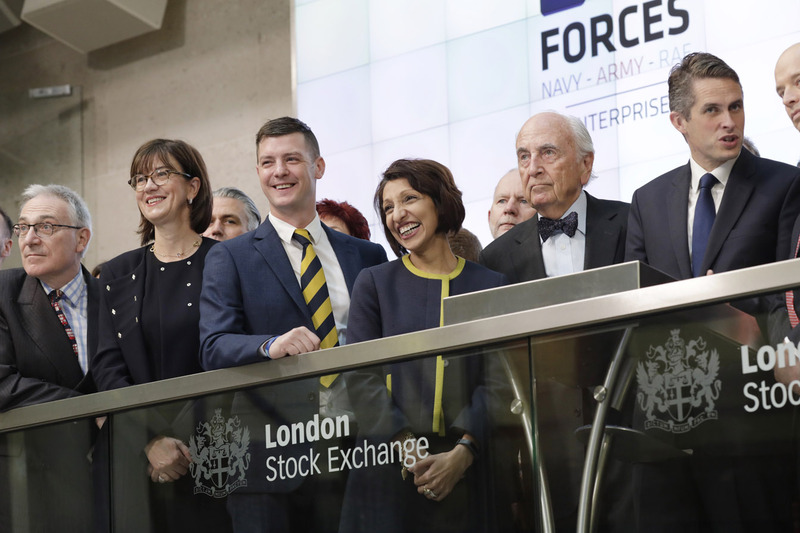 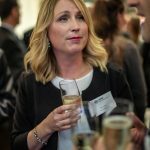 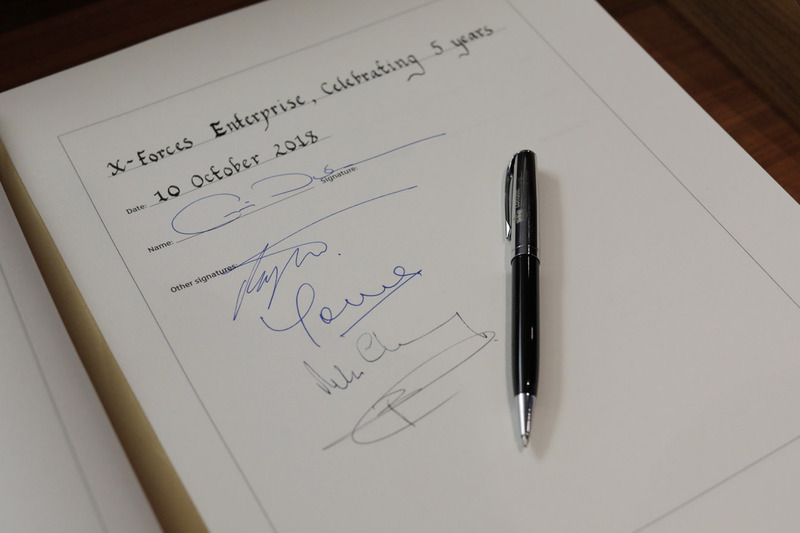 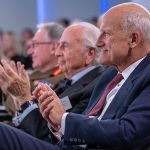 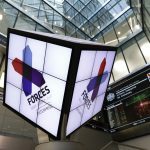 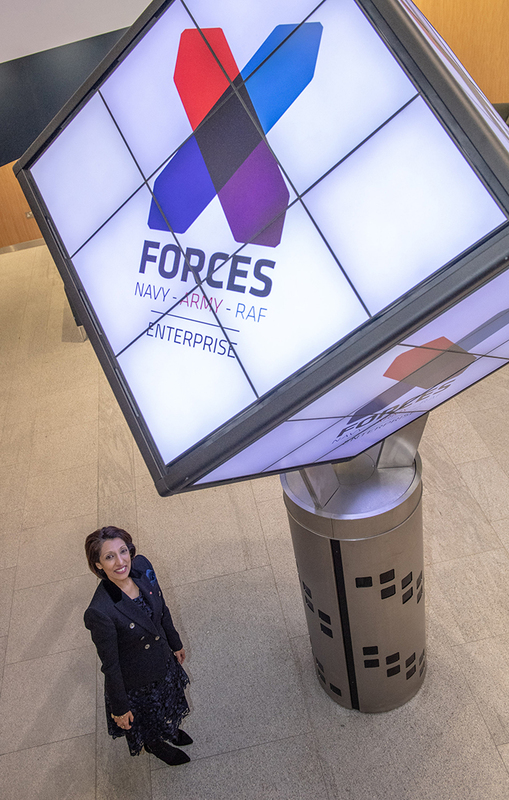 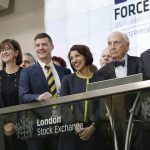 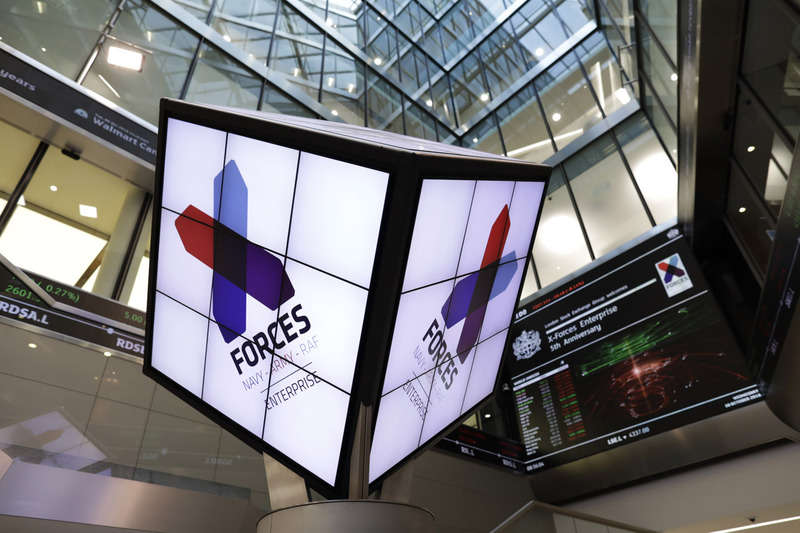 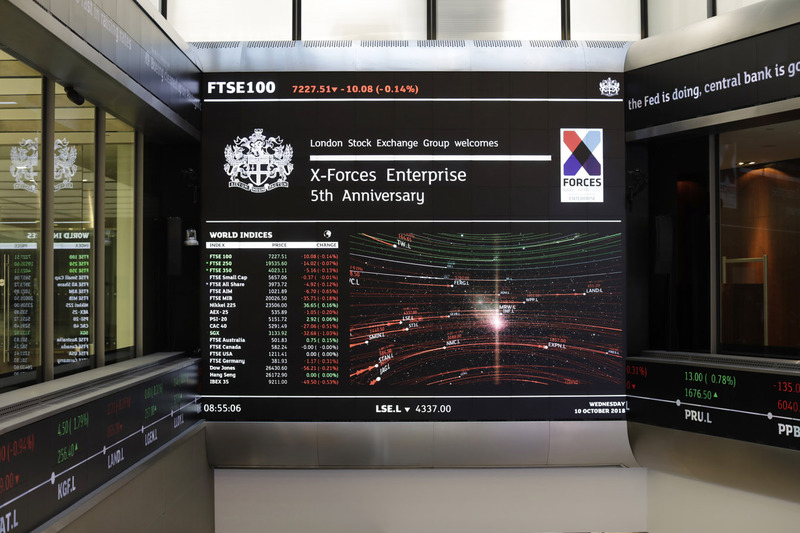 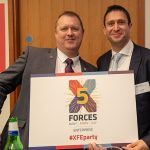 From dawn to dusk on Wednesday 10th October, the London Stock Exchange played host to a dual-event celebration to mark the five years since X-Forces Enterprise (XFE) launched. 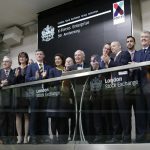 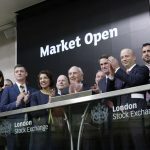 At 8am on Wednesday 10th October, XFE was the guest of honour at the Market Open Ceremony at the London Stock Exchange Headquarters in Paternoster Square. 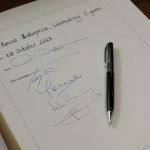 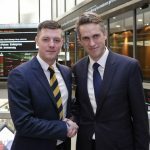 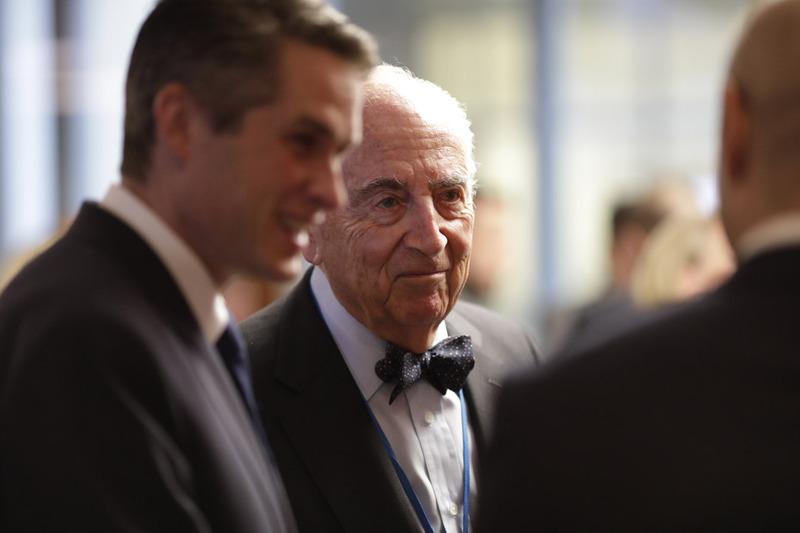 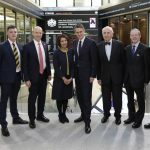 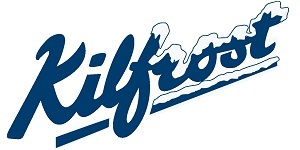 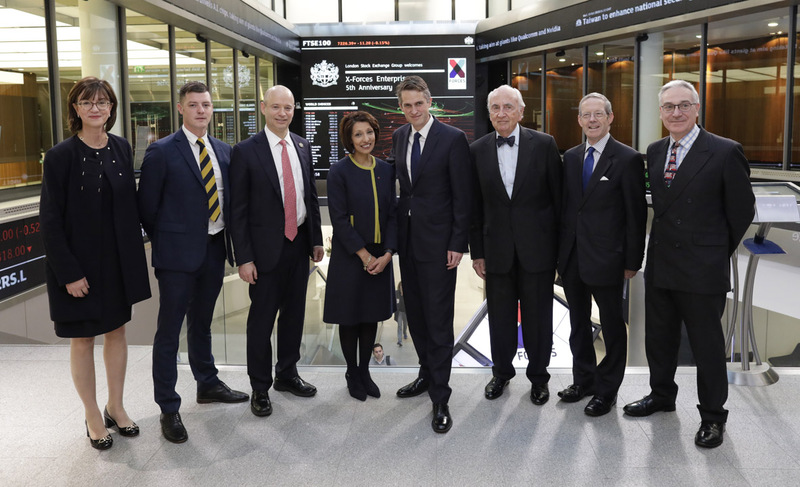 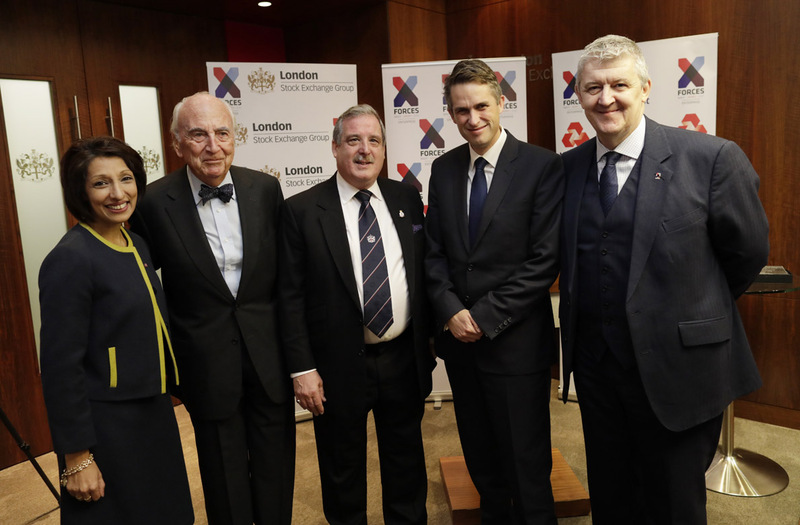 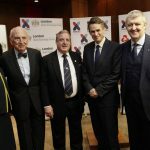 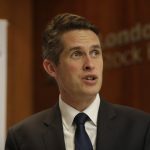 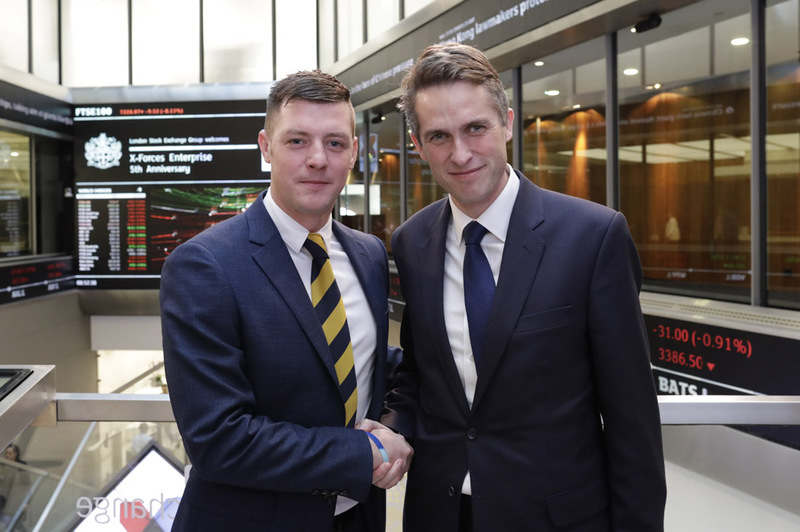 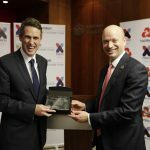 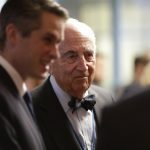 In celebration of the organisation’s milestone, XFE was joined by the Rt Hon Gavin Williamson, Secretary of State for Defence, who pushed the illustrious button together with XFE Patron, Rt Hon the Lord Young of Graffam CH PC DL. 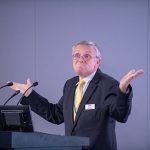 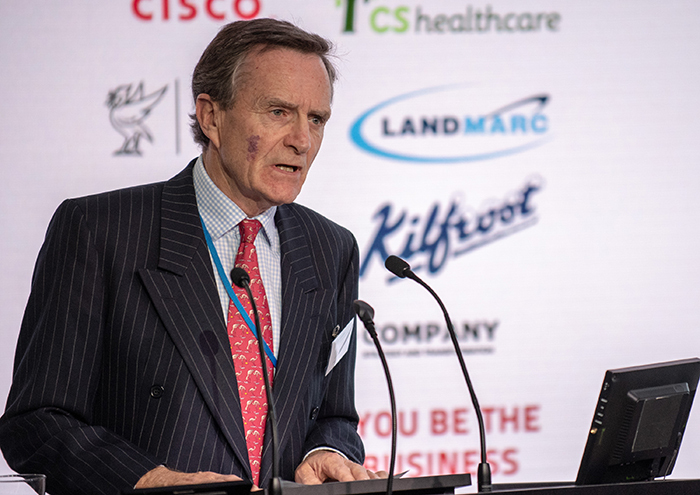 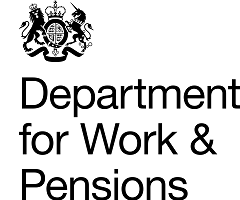 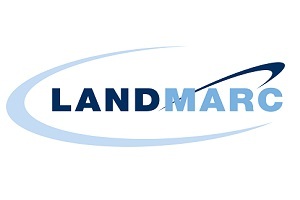 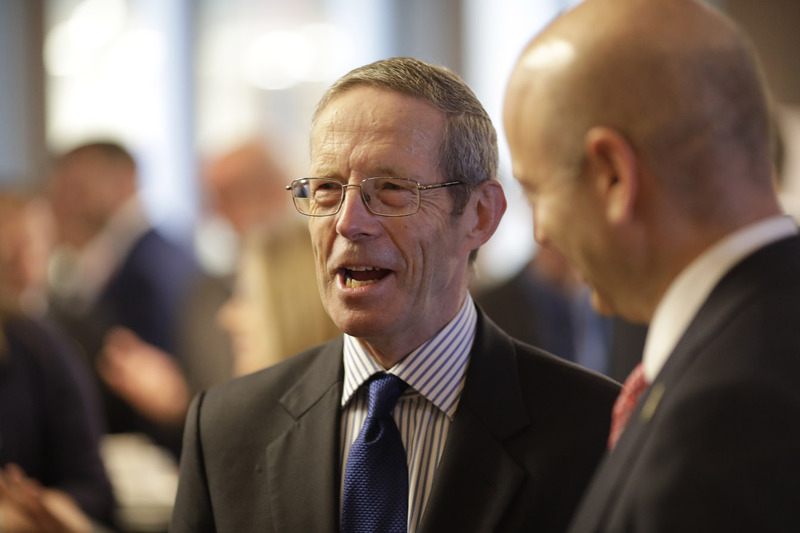 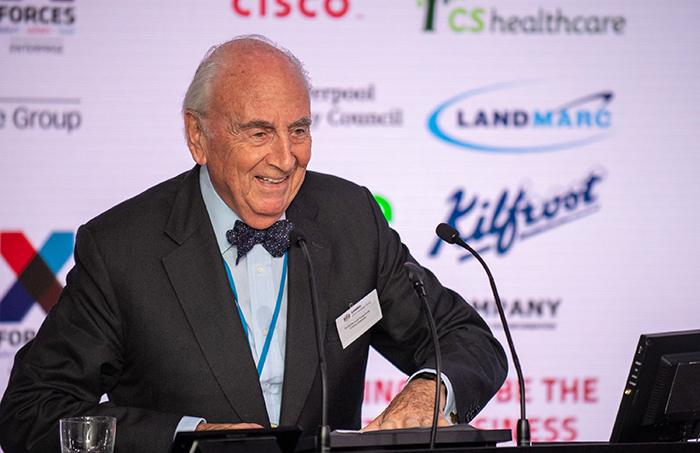 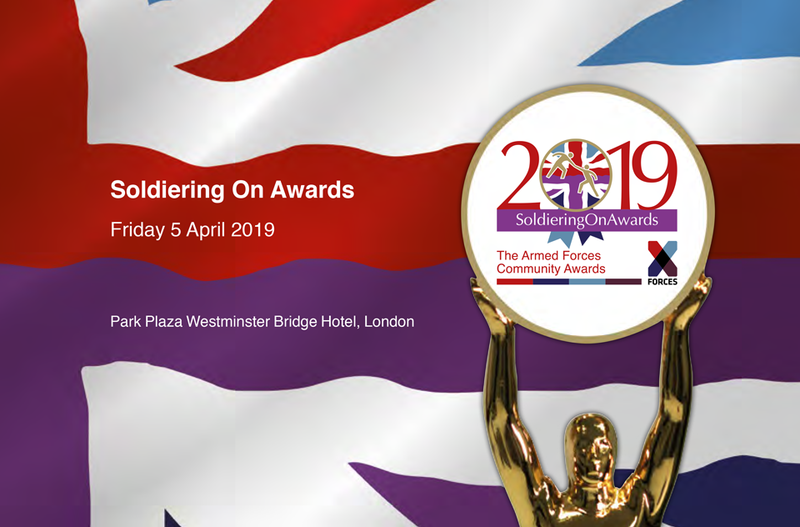 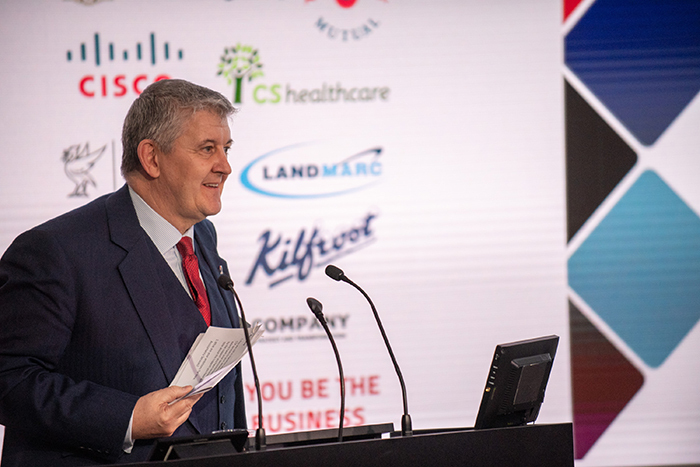 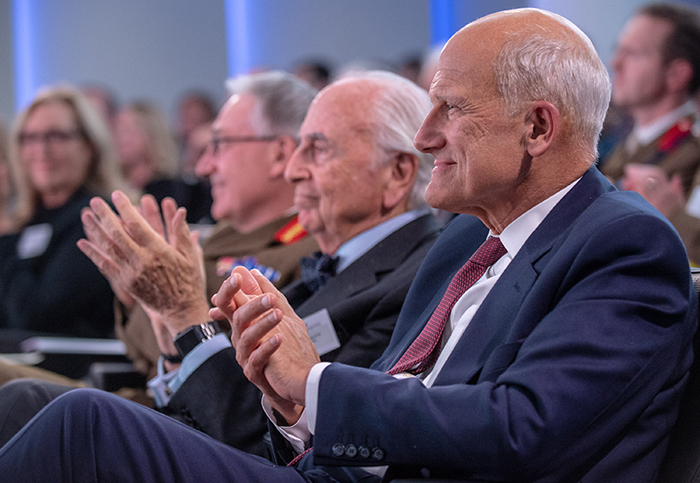 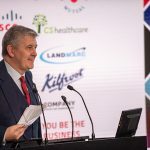 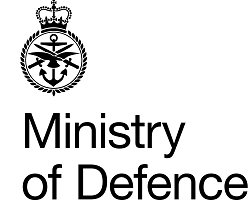 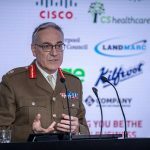 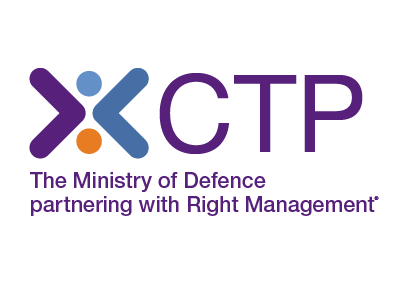 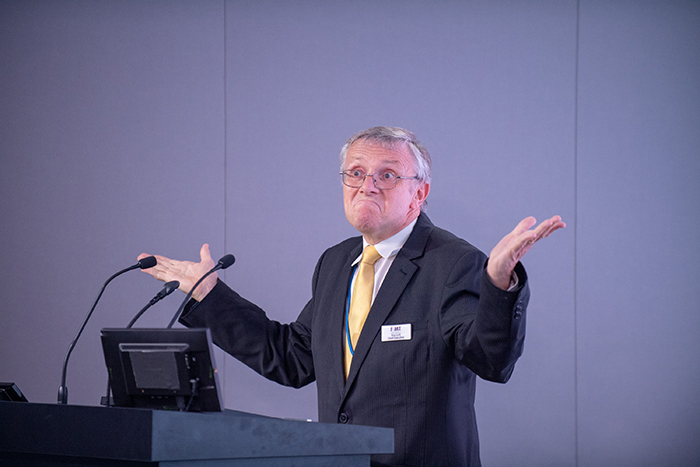 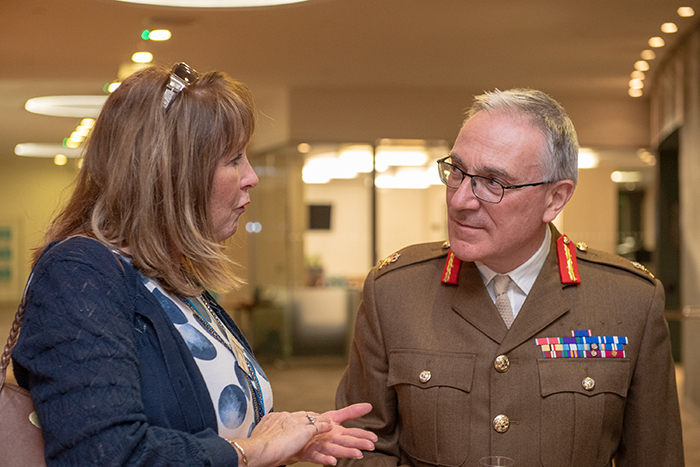 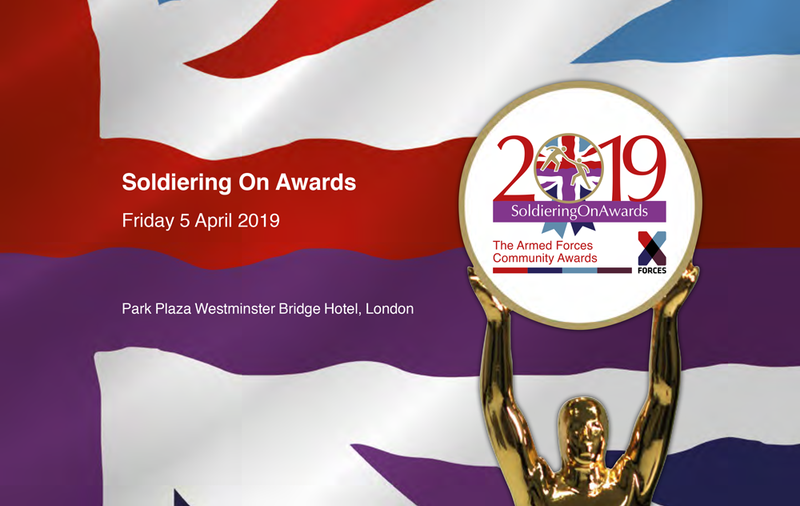 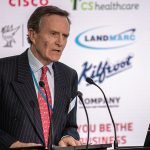 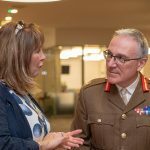 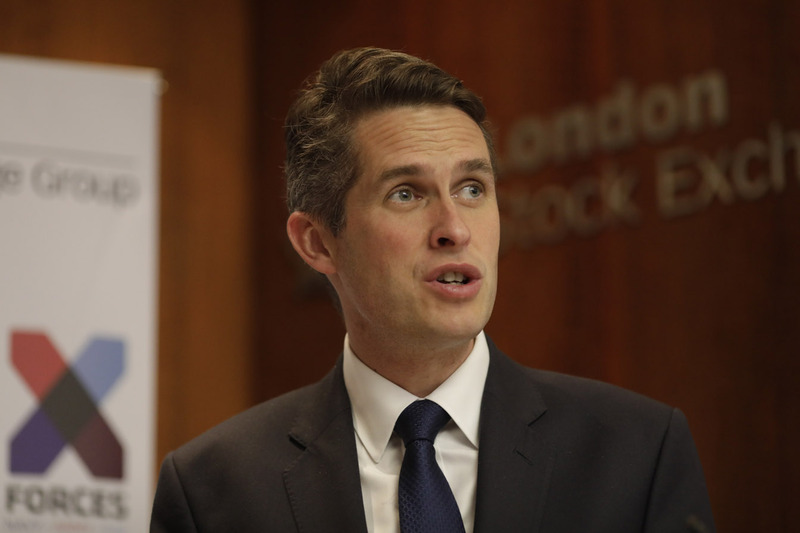 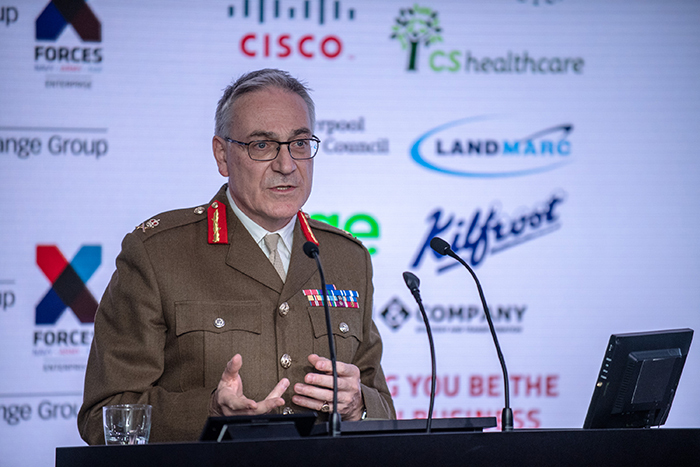 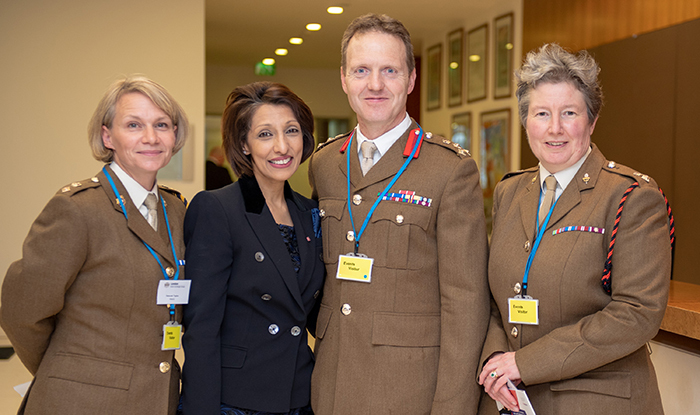 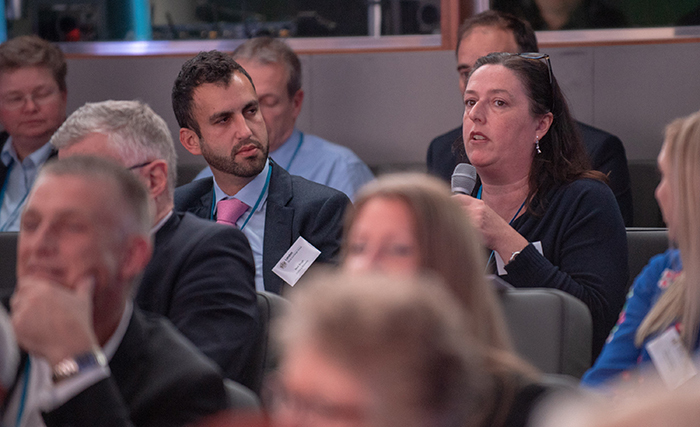 In a speech to the gathered delegates, the Defence Secretary acknowledged the importance of enterprise learning for the Armed Forces and the impact it can have on their transition into the civilian world. 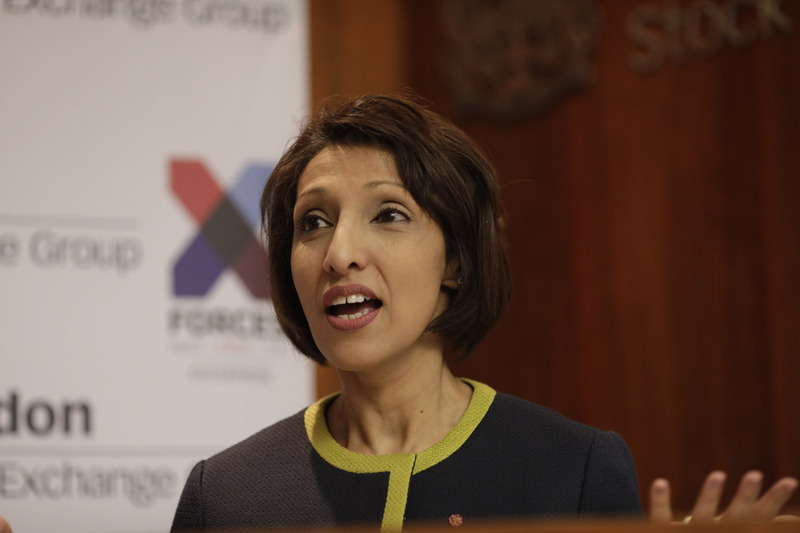 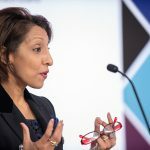 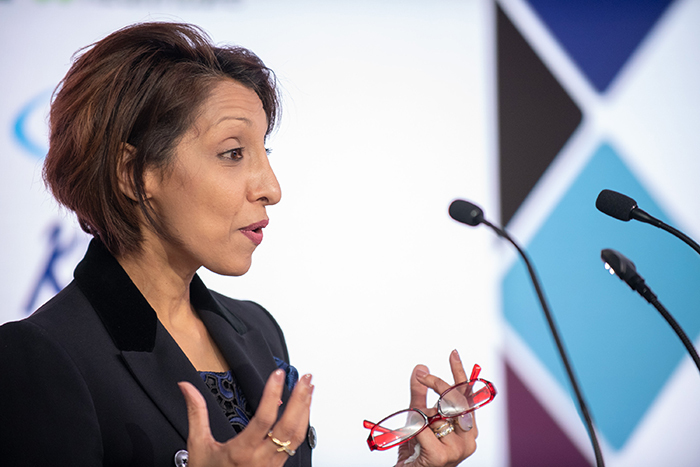 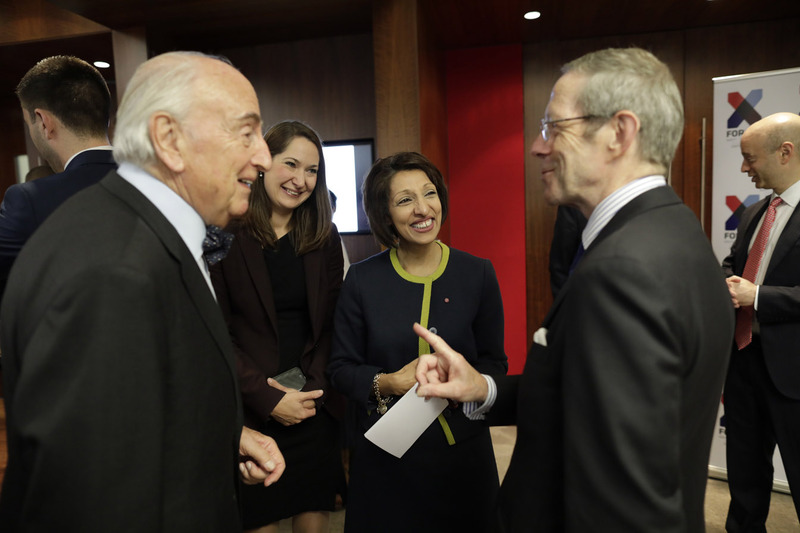 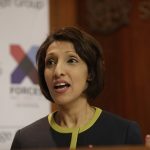 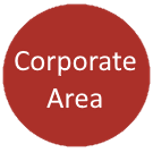 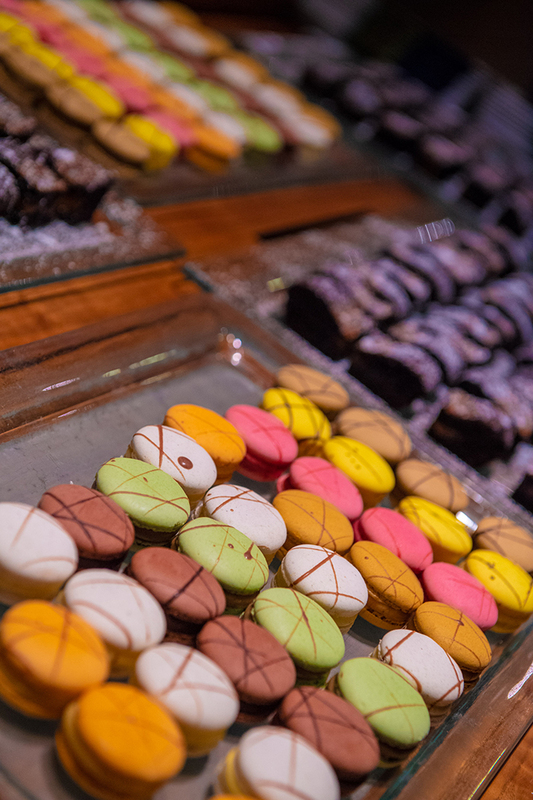 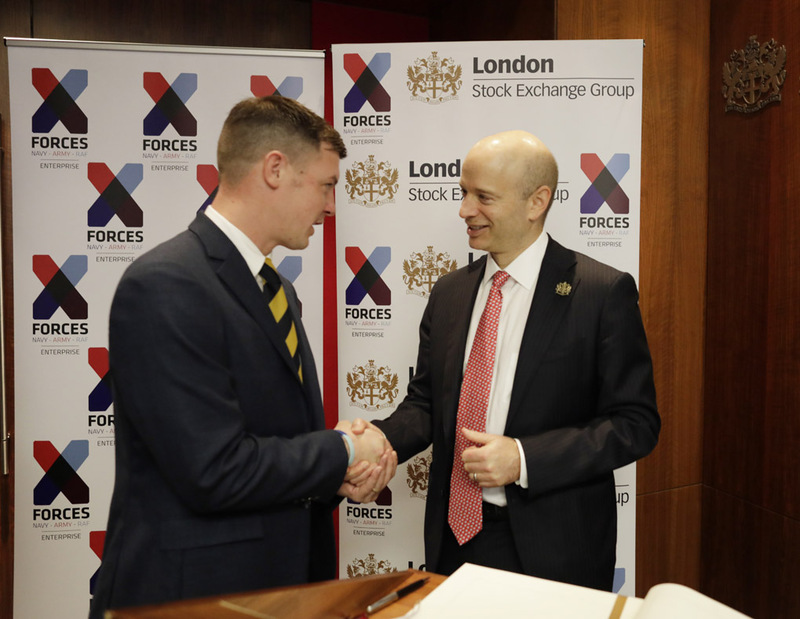 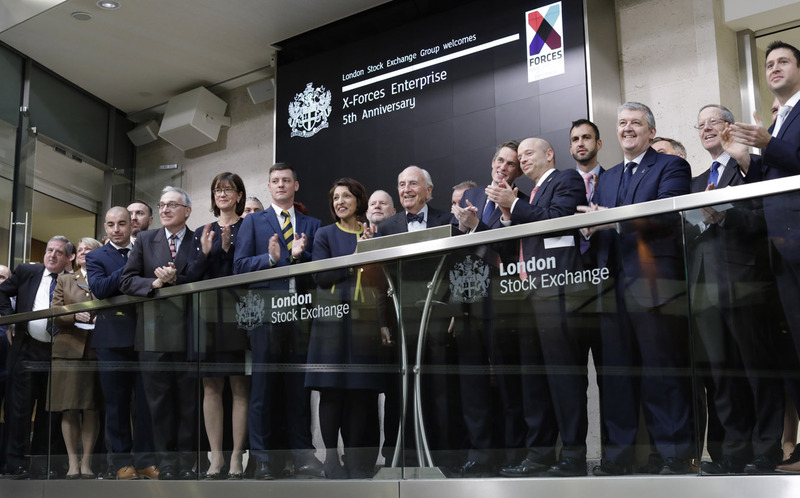 The London Stock Exchange Group, ‘Big Business’ partner of XFE, announced the enrollment of one of the organisation’s very first beneficiaries onto their Elite Programme. 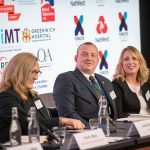 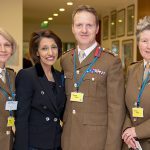 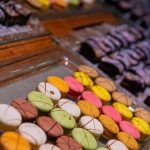 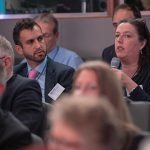 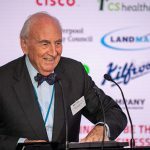 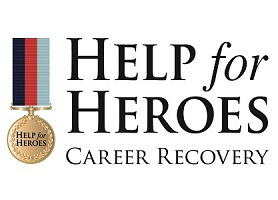 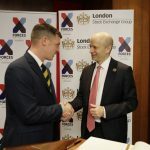 PJ Farr, former soldier and founder of UK Connect, will receive coaching and support to nurture his business’s potential towards listing on the exchange. 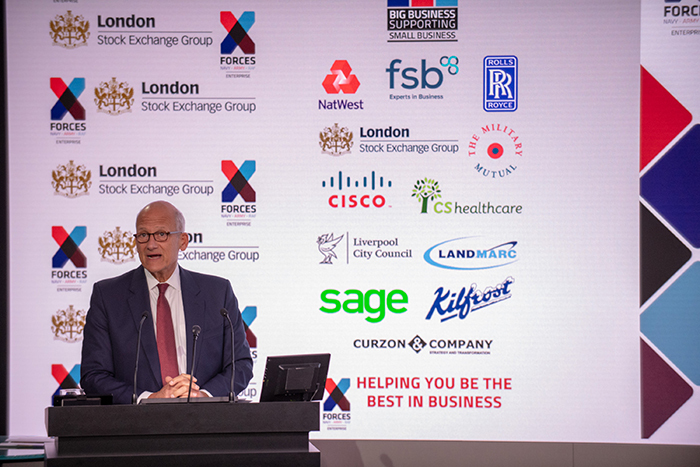 Later the same day, the London Stock Exchange hosted an evening reception that, alongside addresses from CEO and founder, Ren Kapur, included presentations from XFE’s stakeholders: David Warren, Group CFO, London Stock Exchange Group; Lieutenant General Richard Nugee CVO CBE, Chief of Defence People; Rt Hon the Lord Young of Graffam CH PC DL, XFE Patron; General Sir John McColl KCB CBE DSO, Cobseo Chairman; AVM Ray Lock CBE, Chief Executive of Forces in Mind Trust; Haydn Thomas, Head of Business Development, Business Banking NatWest. 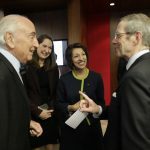 A panel discussion with beneficiaries followed, and the evening concluded with a drinks reception to celebrate. 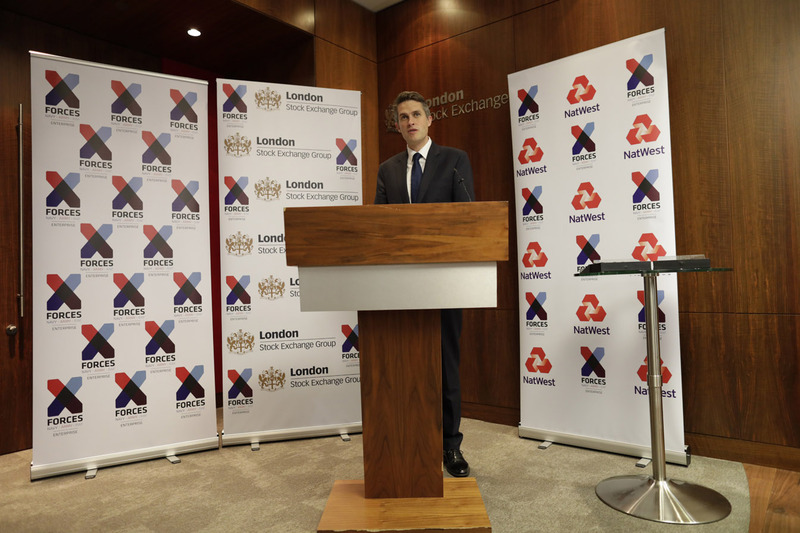 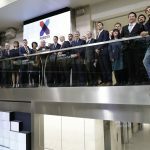 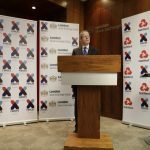 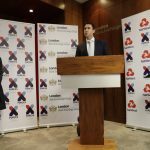 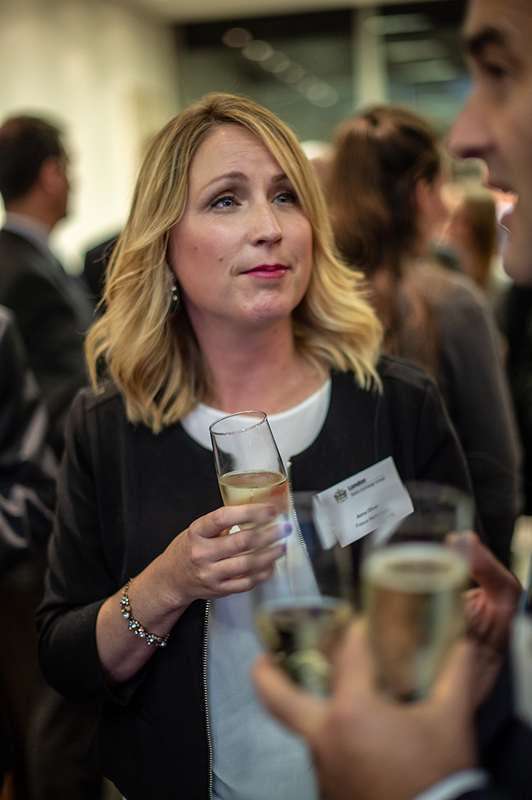 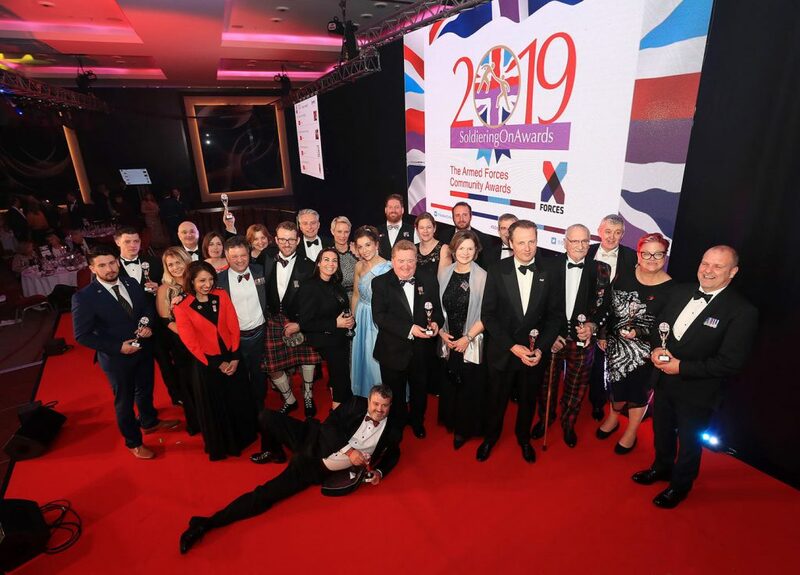 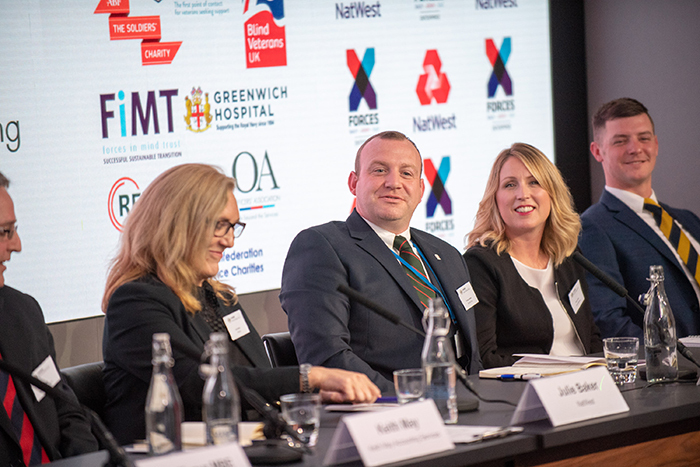 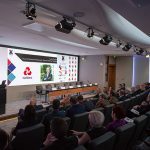 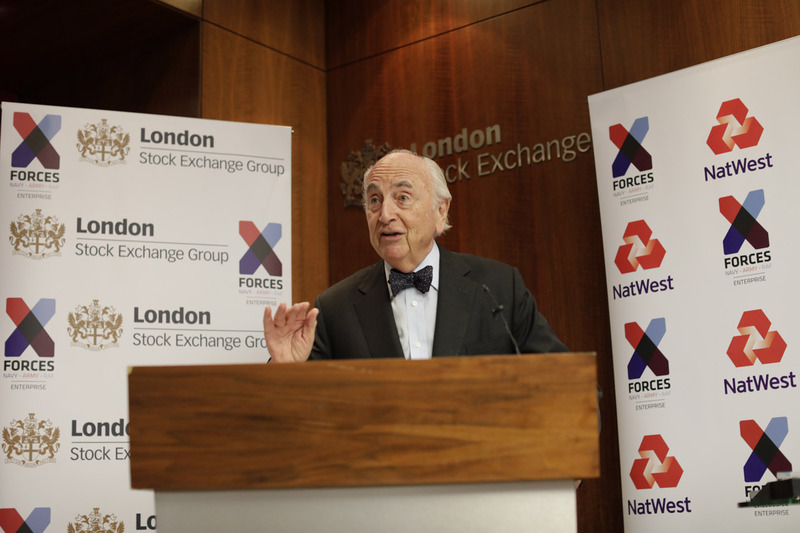 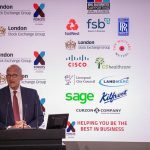 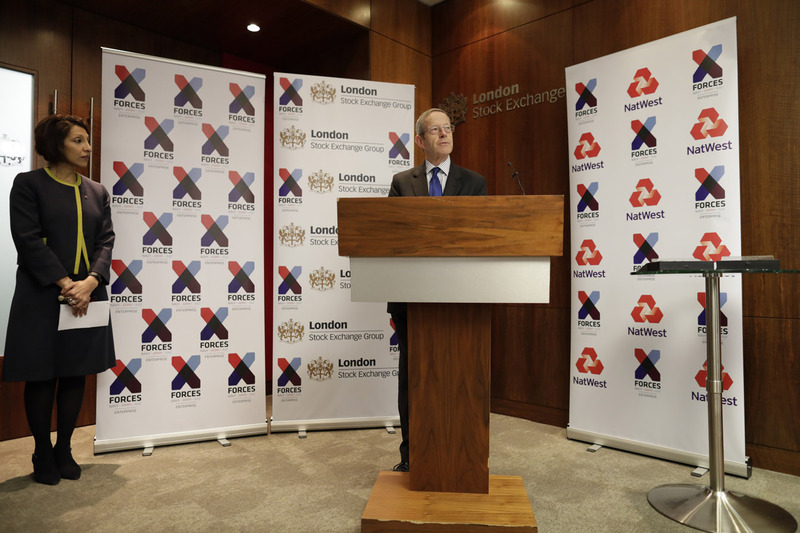 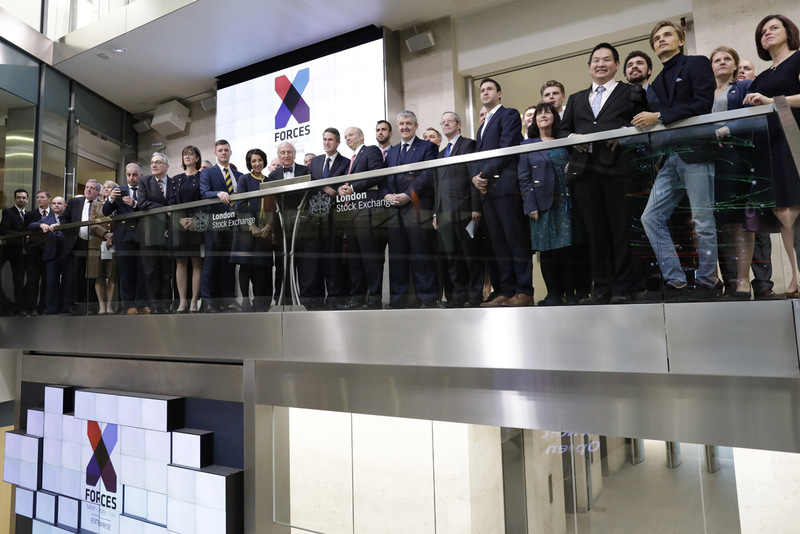 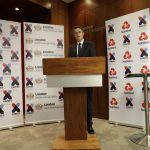 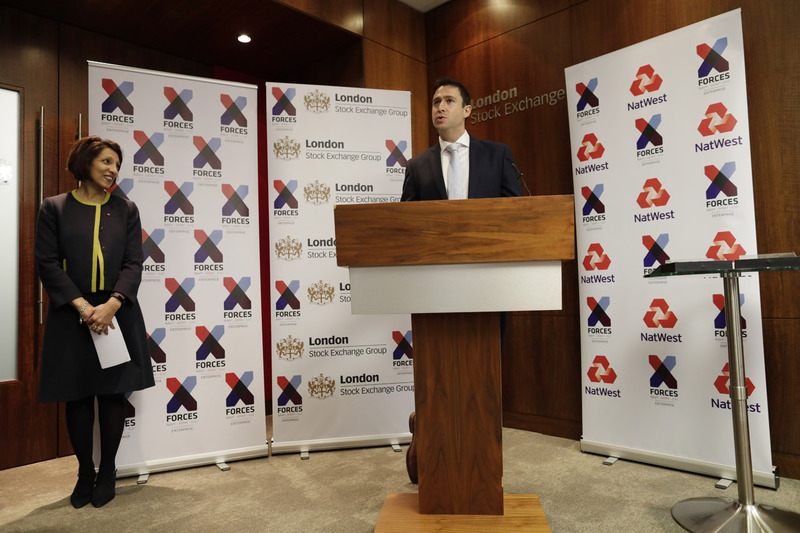 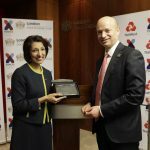 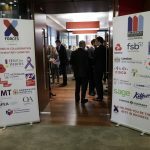 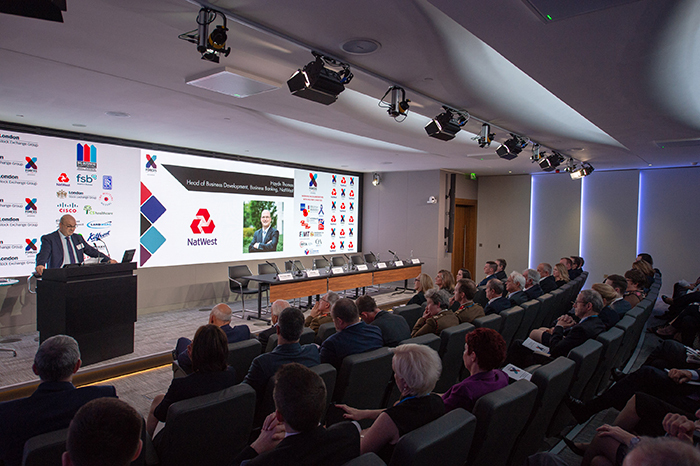 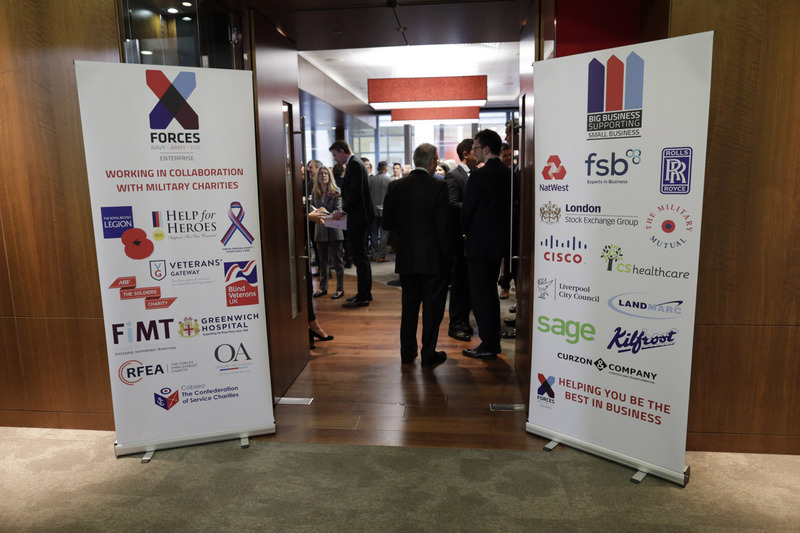 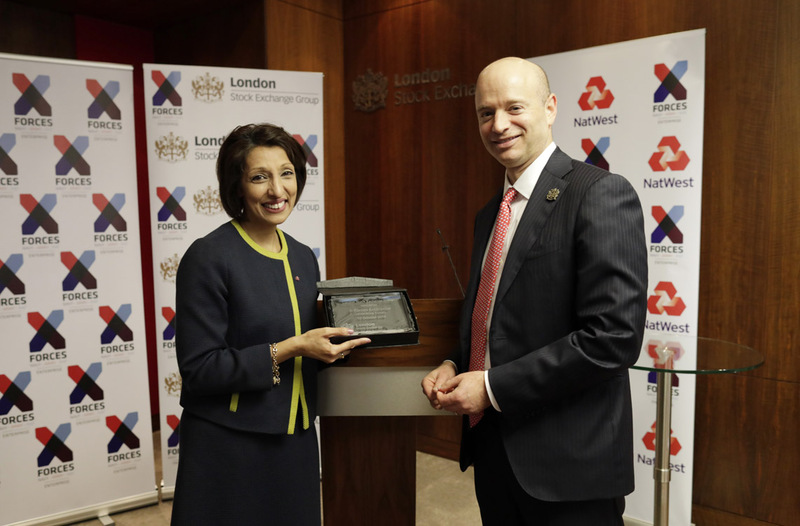 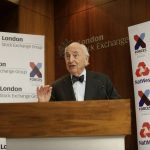 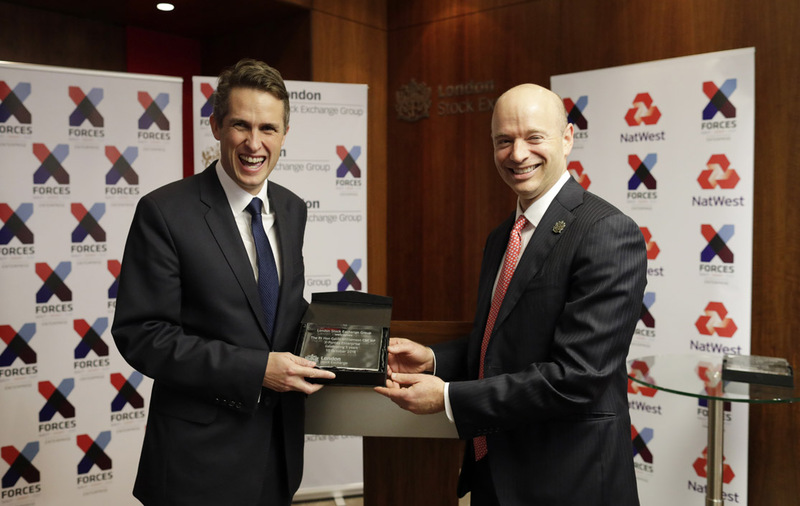 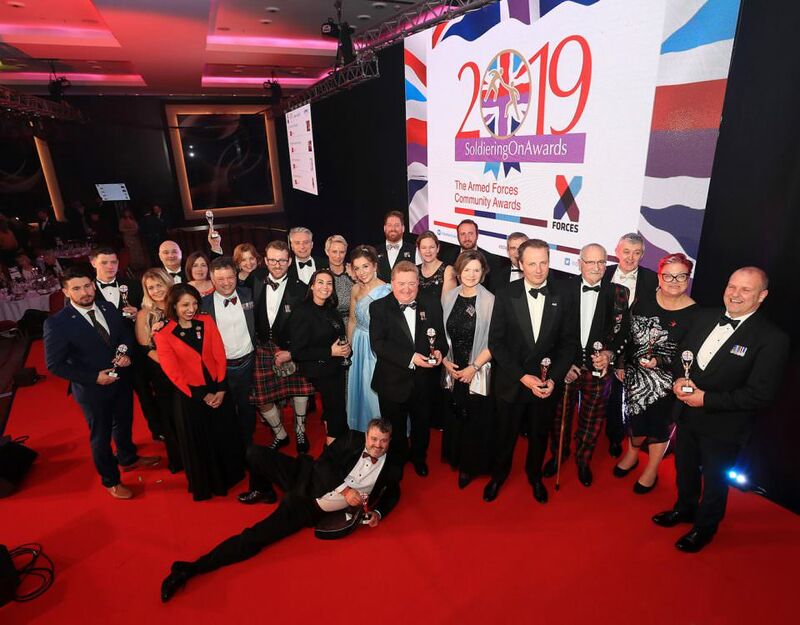 XFE would like to thank the London Stock Exchange Group and NatWest for supporting the events, all their valued partners from government, charity and business, and importantly the many beneficiaries that joined in the celebrations.